Grandview had some incredible results at the Eastern Canadian Regional Championships, and it was an absolutely wonderful way to end the 2011 show season. In training level, Ashley rode Wendi Cutts' new horse, Royal Rubinero, to Reserve Champion status, missing out very narrowly on the Championship ribbon. 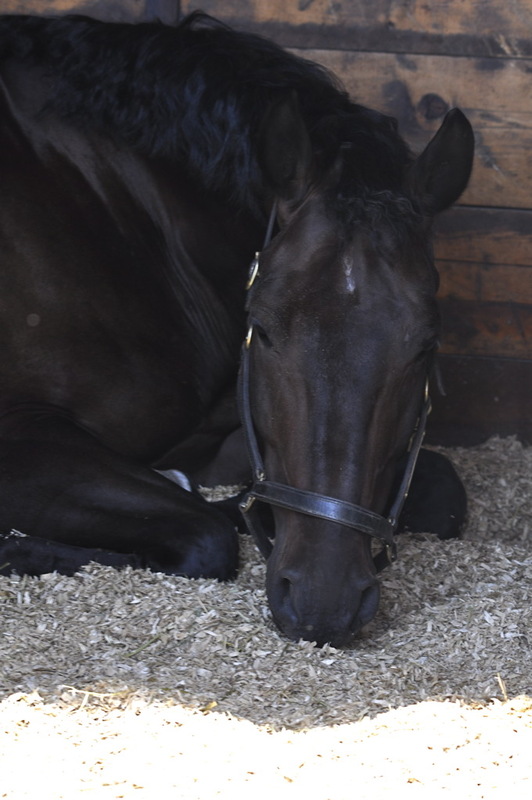 "Rudy" had been on Canadian soil just 3 months, and is just coming 5 years old in this, just his 3rd show ever. At 17.2hh, this robustly built gelding is showing he has a huge future ahead of him, earning scores of 70.95% (and this scores included a 7 % difference between the judges' scores!) and 70.47%. He won his warm up test on Friday with a score of 74%. We are very excited about the bright future ahead of this super young horse. In first level, Ashley rode René Hugye's new mare, R. P. Ruby. This wonderful 5 year old mare won both of her championship tests, with scores of 66.8 and 70.5%, and was crowned Champion. This young mare is also new to Canada, and new to the show ring, and we are looking forward to watching her progress over the coming years. In third level, Ashley rode Gail and Ken Kilgour's 9 year old Dutch mare, Vivaldi, again to super results. This mare was brought up from the States midway through the summer, and the improvement and development in the mare has been incredible in such a short period of time. 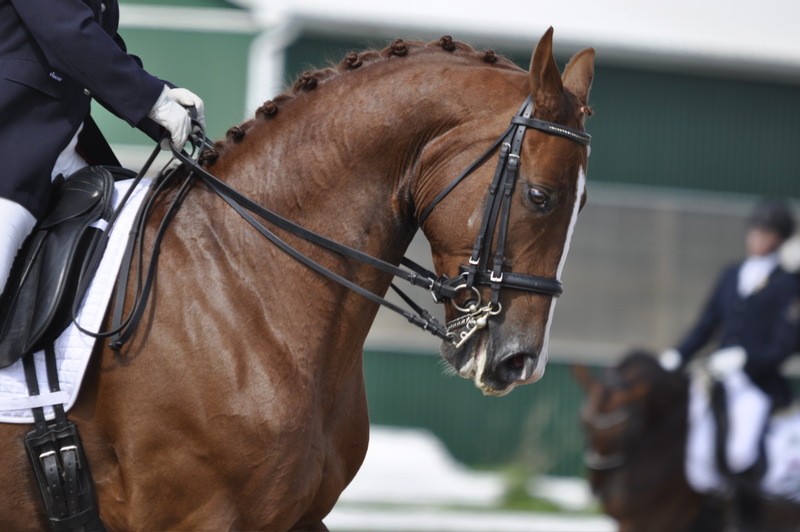 With a bit more time and schooling, she could certainly be a top contender at the FEI level. 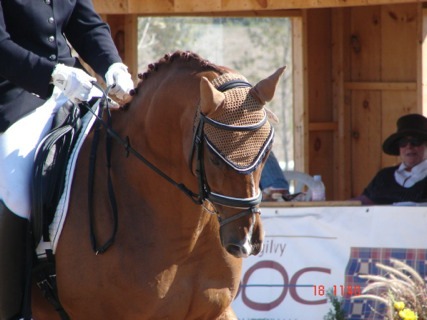 She won both of her tests, with scores of 65.3% and 67.3%, with one judge scoring her over 68% in Third Level, Test 3. 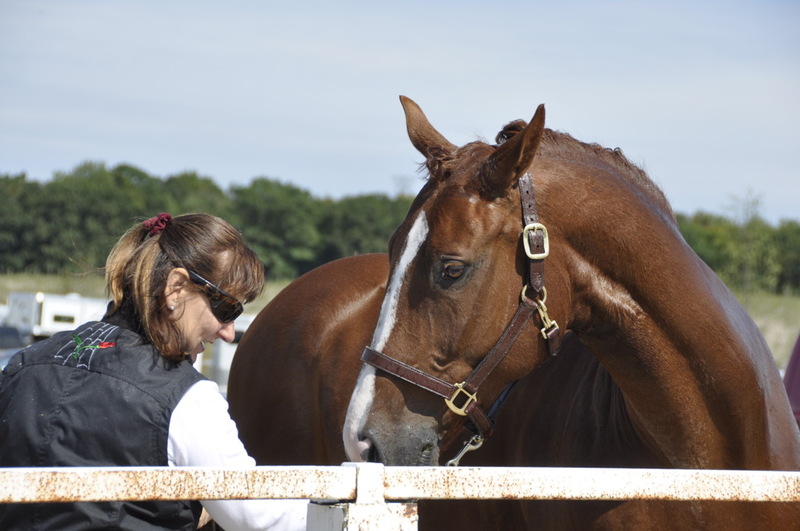 Congratulations, Gail and Ken, on purchasing such a wonderful mare to enjoy for many years to come. In fourth level, Laura Houghton rode Ducatti and was very competitive in her division, winning her warm up test on Friday, and coming a very close 3rd in the two competition classes on Saturday and Sunday. Laura's gearing up to cracking the FEI level next year on her big chesnut Oldenburg gelding, and we're all very excited to be cheering her on in this journey. Congrats, Laura, on all that you have, and will accomplish. And last, but not least, Ashley rode Rock Brasiliano in the FEI Advanced Division. 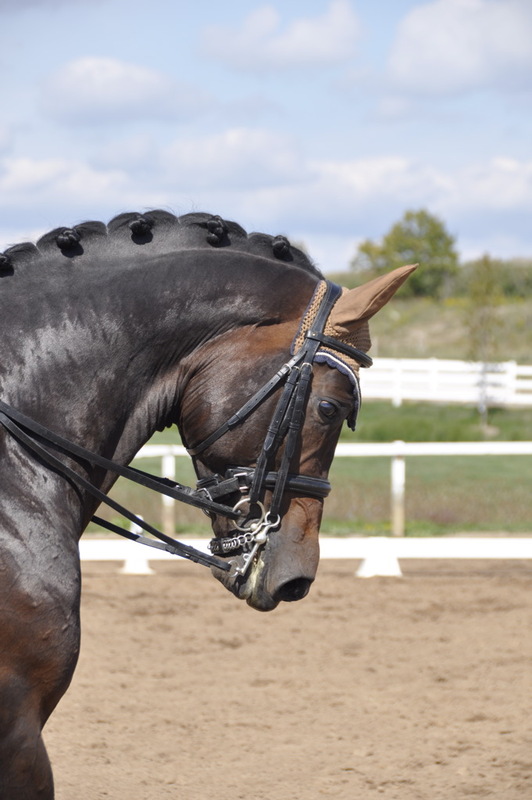 At just 7 years of age, this lovely young stallion completed his first year of showing by winning both the Prix St. Georges and the Intermediare 1, and winning the Advanced Championship. 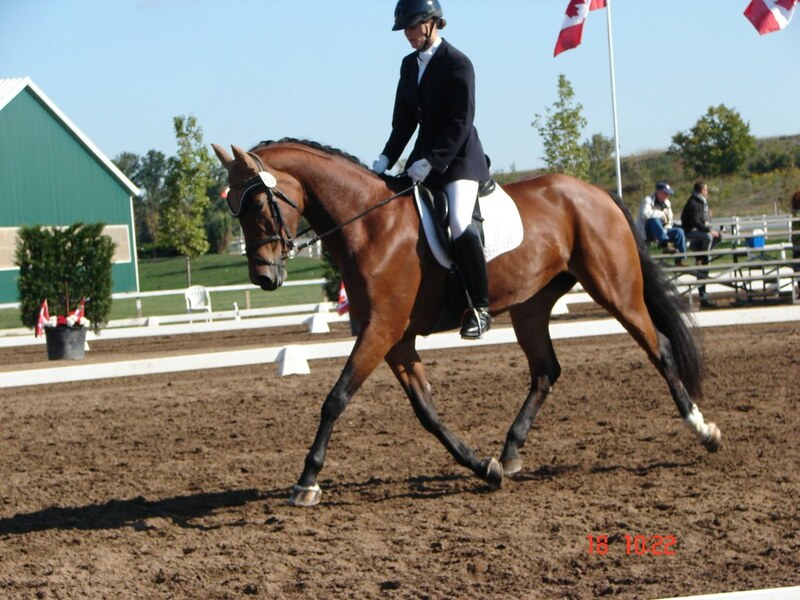 Although still green and in need of miles, he is showing incredible potential which will lead him to be one of the top FEI horses in Canada. Thank you to everyone that helped make this year such a success. You all know who you are! The Grandview family is certainly a great one. Looking forward to 2012.